Millennials, now the largest generation in terms of numbers, have a different view of the world compared to their cohorts. They were the first digital natives and are connected 24/7. They consume and engage with media differently than other age groups, but their media preferences shift based upon their current stage of life. Nielsen’s recently released Audio Today focused on this age group, and contrary to popular beliefs that may exist, radio matters to millennials. Identifying three different groups within this generation, Nielsen placed these 18-34-year-olds into 3 stage buckets: Dependent Adults, Those on Their Own and Those Starting a Family. When it comes to radio, these three groups are heavy listeners. Radio reaches 90 percent of those living at home (Dependent Adults) and 89 percent of those who are On Their Own – those in their second stage of life. And when it comes to those that are entering their third stage, or Starting a Family, radio’s reach increases to 92 percent. In fact, those who are starting a family spend 9 percent more time listening when compared to the 18-34 average. Regardless of the stage of life they are in, radio is the top reach medium for this generation. In fact, despite their always-connected outlook, radio's reach (92 percent) is even greater than that of smartphones (84 percent), tablets (40 percent) and PCs (45 percent). Also, on average they spend five days per week with radio – greater than the 4.4 days with TV. 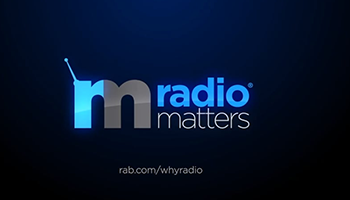 So the next time a client tells you that young people don’t listen to radio, share the Millennial Myths and Realities presentation created by Westwood One. You can also read the blog post on their site. Remember: Radio matters to millennials. It plays a leading role in their music discovery. It’s the device they turn to most in-car, and their audio companion throughout all the stages of their lives.